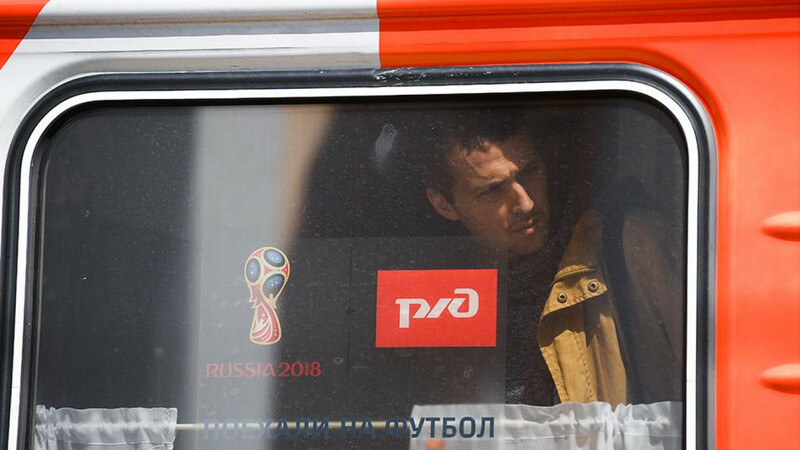 Foreign World Cup fans find a warm welcome on Russia's trains. Lena, 27, was the conductor of carriage number 3 on the train bound from Moscow to Orsk, 1,800 kilometers to the southeast. She wore a bemused look as dozens of foreign football fans filed into her car. On this day, her carriage was full of Peruvians, now famous for being among the more boisterous fans of the 32 nations in the World Cup. Clad in red and white, they were en route to their country’s opening game against Denmark in Saransk. “Seat, seat! No wifi!” a Peruvian man was trying to explain to the bewildered conductor, pointing at his phone as the train left the capital. 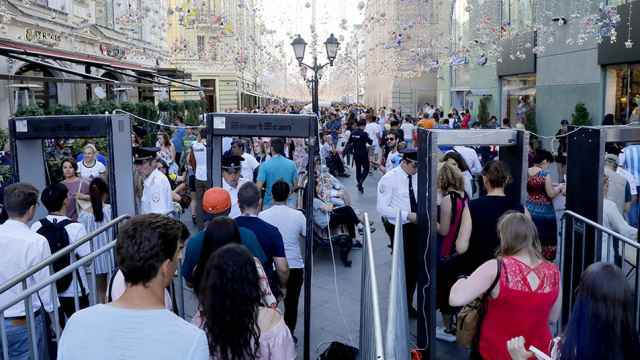 Thousands of foreign football fans are making similar long-distance journeys across Russia’s vast expanses this month to watch their national teams compete in the World Cup. But foreign spectators hoping for a taste of Soviet-train chic might be left disappointed. Russia’s tracks no longer haul the rickety old vagoni of years gone by. They have been replaced with newer models, fitted with power outlets, USB chargers and, sometimes, even air conditioning. What’s more, the conductors are no longer the grumpy old babushkas of travelers’ lore. Most are young and cheery. 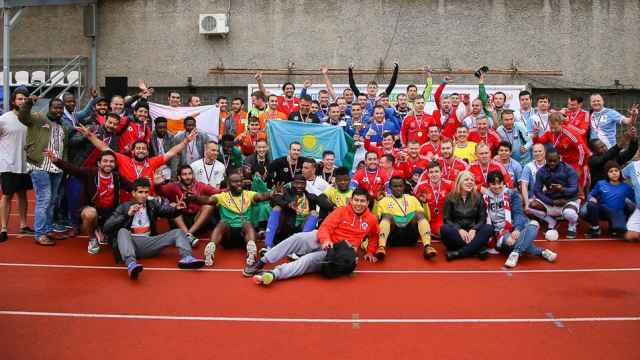 Despite their best efforts, though, not all posses the language skills to communicate with the dozens of nationalities here for the football tournament. It turned out that Juan Carlos, a 40-year-old electromechanic, did not know his seat number and couldn’t open his ticket on his phone due to the spotty internet connection. Back in my compartment, Elya, a chatty 61-year-old retired teacher who now works as a real estate agent in Moscow, said the World Cup atmosphere had suspended her skepticism of foreigners. It wouldn’t have been an authentic Russian train experience without a vodka-fueled anecdote. Stopping in Ryazan, about two hours into the journey, the Peruvians piled out of the stuffy train to get some fresh air. A Peruvian from another carriage, Miguel, 32, was immediately approached by a determined-looking Russian passenger, dressed in short athletic shorts and a black tank top. “Peru champion?” he boomed, clapping Miguel on the back. “Drink vodka?” “Poquito,” Miguel shrugged. “We’ll find you [on the train],” the man said in Russian, relinquishing his grip on Miguel’s shoulder. “He’s almost a real Russian now,” one of the train conductors chimed in. Daniel Kozin is an editor at The Moscow Times. The views and opinions expressed in opinion pieces do not necessarily reflect the position of The Moscow Times.